1. 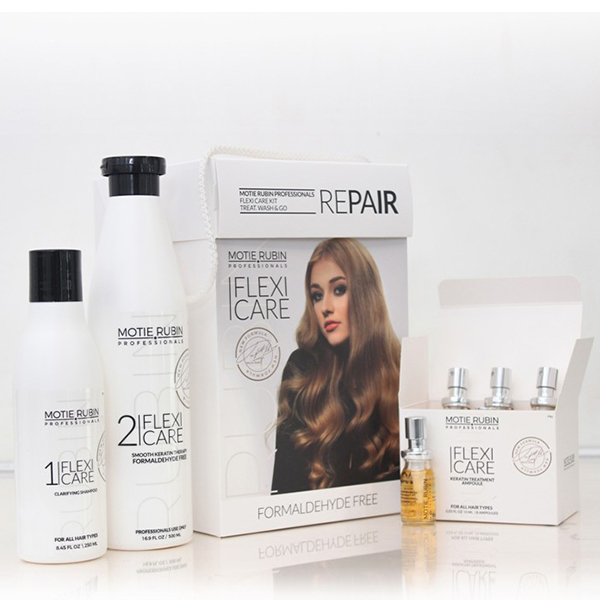 Motie Rubin Flexi Care Clarifying Shampoo, ard water and mineral deposits, chlorine, hair products and environmental impurities can all leave buildup, which over time which can cause dull,greasy or limp hair. Motie Rubin Clarifying Shampoo is specially formulated to remove excess buildup in the hair fiber and open the cuticles for the treatment to be absorbed, restoring hair to a healthy balance. This clarifying shampoo may be used before the treatment or twice a month, also up to once or twice weekly for those who use a lot of hair products, swim regularly or have hard water. 2. 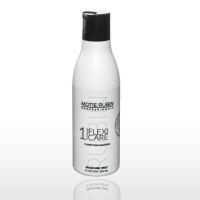 Motie Rubin Flexi Care Smooth Treatment, This hair Smooth method is suitable for all hair types. Our revolutionary formula contains active ingredients based on the synergy of protein and biological amino acids that combine with the hair for a smoother result creating silky, soft, healthy hair. 3. 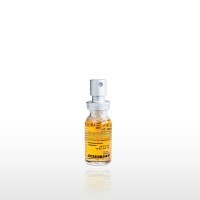 Flexi Care Keratin Treatment Ampoules, this Treatment Ampoule is the result of a long and exclusive development process. It contains an especially high concentration of natural keratin, amino acids and proteins. Suitable for dry, broken, damaged, dyed and lightened hair. The unique formula contains a complex of intensive treatments which nurture and rehabilitates the hair from the roots to the ends. 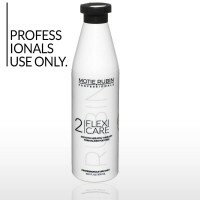 Motie Rubin Flexi Care SLS Free Shampoo, A sulfate-free shampoo that renews the moisture of the..